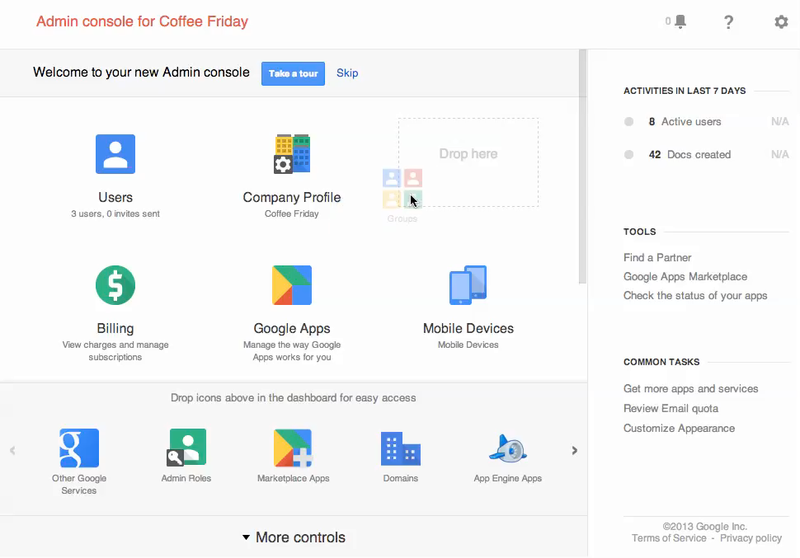 To make it easier for Google Apps administrators to manage their users, services and devices, we recently announced a redesigned Admin console. Two weeks ago, we made the new Admin SDK available to developers who want to build customized tools for organizations that use Google Apps. 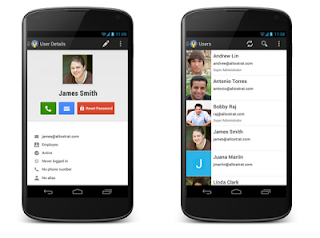 Today we're launching the Google Admin app for Android devices. 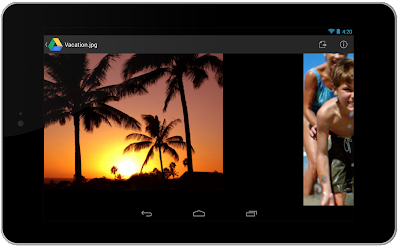 The Admin app makes it easy for admins to use their Android phone or tablet to accomplish the most common tasks—such as quickly adding or suspending users, resetting passwords, managing group memberships, and directly calling or emailing specific users. Editor's note: Today’s guest blogger is Pierre Masai, VP Information Systems and Telematics from Toyota Motor Europe. He talks about the next generation navigation system in the new Lexus IS, available from mid 2013 across Western and Eastern Europe. Hear how the company’s newest technology is using Google features to create improved experiences for its drivers. At Lexus, we value bringing the newest technology to our drivers. We want Lexus drivers to depend on their cars for accurate, up-to-date information about their surroundings. We've entered a new generation of in-car technology and we're rolling out several features from Google Maps to enhance our driver’s navigation experience. The Lexus IS newest in-dash system gives users direct access to Google local search, Street View and geotagged photos from Panoramio. From cafés in Rome to museums in Paris, drivers can use their navigation system to search online for points of interest. With access to continually updated local information powered by Google, this gives Lexus users peace of mind. We're also excited to announce that Street View and Panoramio will be integrated in Lexus’ premium in-car technology. For the first time, Lexus drivers will be able to see real-life images of their surroundings, guiding them to nearby places. 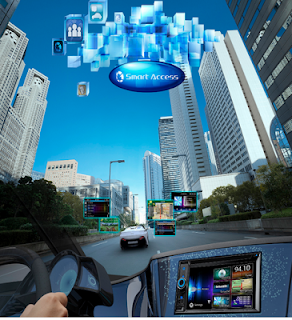 As we continue to bring smarter technology to our cars, drivers will find the most relevant information they need, when they need it most. Now Lexus drivers can have access to map features with Google, ensuring a much more informed drive wherever they’re going. The editing experience in Google Sheets has also gotten some improvements: now you can adjust font types and sizes for a spreadsheet and tweak the cell text colors and cell alignment right from the app. 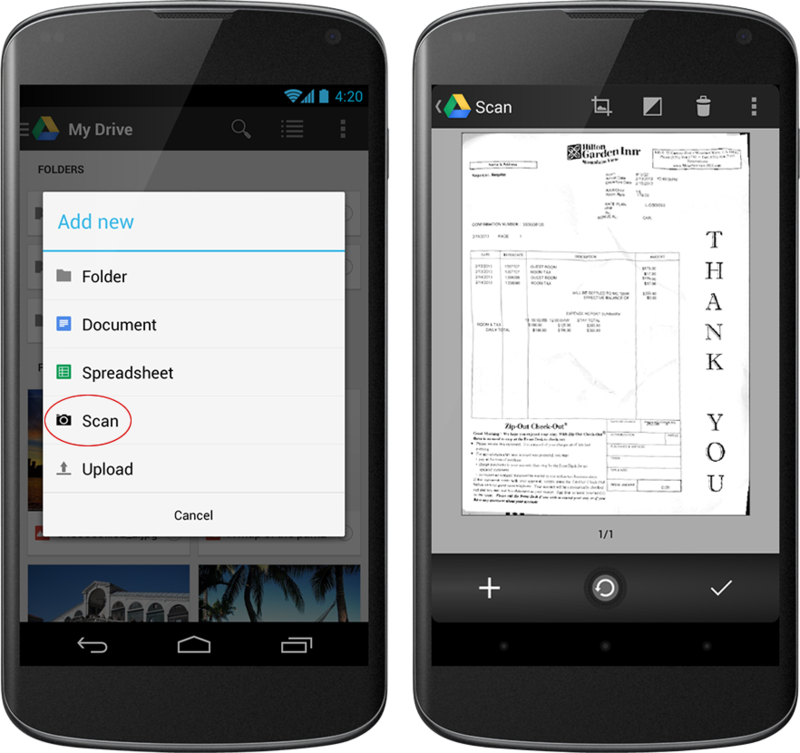 Plus, the Drive app comes with Cloud Print support so you can print anything from Drive with a Cloud Ready printer -- perfect if you need to, say, print a contract right before a meeting. Editor's note: Today’s guest blogger is Derek Gallimore, MD of Boutique London Lets, a provider of luxurious short-stay accommodation in London. See what other organizations that have gone Google have to say. Our young company was founded just over four years ago, when I spotted a niche for offering luxury accommodation to business travellers and tourists looking to avoid costly hotels. Our customers come to London from all over the world for business and pleasure, and it’s our job to make sure their stay is as comfortable as possible. Our key market is composed of international travellers who are spread across the world in different timezones, so I wanted to build an international team from the start. From day one, we’ve used Google Apps as our main form of contact, including Gmail, Hangouts, and a collaborative inbox. We wouldn’t be where we are today without it. We now have more than 20 staff spread across the world, from the Philippines, to London, to the US and Australia, and they are able to quickly respond to queries from their local markets, instead of waiting for the sun to rise in London. Hangouts have allowed us to recruit and hire over video conference, rather than fly around the world to meet candidates. By interviewing candidates in this way, we can get a sense of their personality and experience, as well as save thousands of dollars on flights. We also started using Google Hangouts for staff training. It can be difficult to create a sense of community with a globally distributed team. But with Google+, we’ve formed an internal social media network where employees can share their water cooler moments online. From wishing a member of the team happy birthday to sharing a funny online video, our employees are better connected. The collaborative inbox feature within Google Apps has transformed our communication from frantic to efficient. When we first started, all email enquiries came into my inbox and I delegated tasks to staff. This was great for keeping track of everything, but quite hap-hazard. Collaborative inbox allows me to distribute and track responsibilities among the team. If a customer reaches out with a query about a specific property, a group of my employees can easily access the inbox, guaranteeing a response within minutes. I can also ensure quality control and consistency across our customer communications by storing template query responses, apartment specifications, and internal documents online in a shared folder that my teams can access. Google Apps has helped me start and grow an international business in a way that simply wouldn’t have been possible for a start-up ten years ago. As testament to this, we’ve tripled revenue turnover every year for the last three years and I’m sure the platform will continue to be at the heart of our operations as we grow. 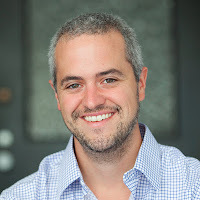 Editor's note: Today's guest blogger is Mike Salguero, CEO and Co-Founder of CustomMade, an online platform for buying custom goods from local Makers. See what other organizations that have gone Google have to say. CustomMade is built on quality craftsmanship. 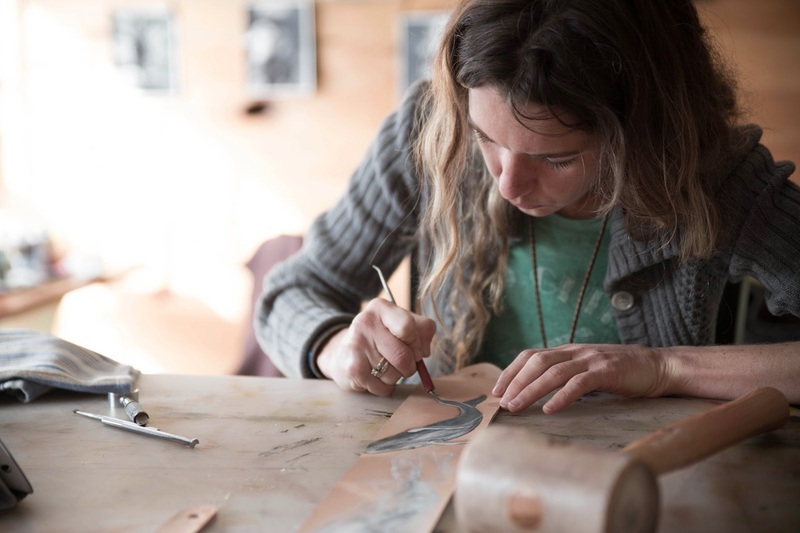 We’re an online marketplace that matches our customers with a network of nearly 11,000 of the world’s best craftspeople - we call them Makers - to give them access to high-quality, custom-made goods. My co-founder, Seth Rosen, and I started CustomMade because we love working directly with Makers to build things that matter to people. We’ve been able to make it successful because we have tools that let us maintain the high metabolism that small companies require. We started in 2009 as a two-person company working out of my one-bedroom apartment, and by being nimble and operating quickly, we’ve grown to 45 full-time employees working out of our headquarters in Cambridge, Massachusetts. Google Apps for Business is the agility engine that helped us get there. It’s been the backbone of our communication and collaboration, letting us focus on getting work done rather than how we get it done - a crucial distinction for a small business. 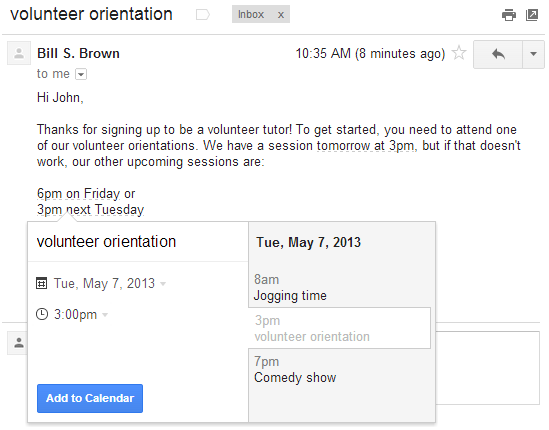 Google Apps helps us smooth out the rough edges of running a small business, like onboarding employees. Teaching new hires about the business and culture is inherently difficult, but since most of our hires use Gmail on a daily basis, we don’t have to spend as much time teaching them how to use our technology. By giving them the tools they’re already familiar with, they’re able to adapt quickly and jump right into their jobs without worrying about how to set up a meeting with Calendar or share a Doc with their teammates. With thousands of Makers selling tens of thousands of different products, we’re a very numbers-focused company. 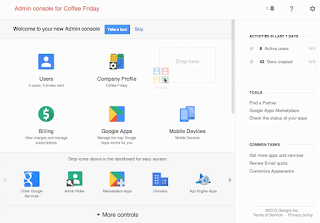 Google Apps makes tracking goals across all of our teams incredibly simple. Our sales, concierge, and product teams all work towards weekly goals, such as site traffic and requests for custom items, which they update constantly in a shared Google Sheet. This gives me visibility into each team’s performance and metrics, and I know the data I’m looking at is always up-to-date. We also use Docs and Sheets for operational tasks, like storing creative briefs and tracking licenses, contractors, addresses and funnel conversions. Google+ Hangouts are our secret productivity weapon. We work with 15 freelancers and consultants, including 10 in India, one in the UK and the rest across the US. Hangouts make it feel like they’re right here in the office with us. Our team hosts five to 10 Hangouts each day - they’ve become an integral part of our day-to-day routine. Moving fast and staying nimble is essential to CustomMade’s success, and Google Apps keeps us on our toes and forging ahead. Instead of spending time worrying about IT problems or outdated Excel worksheets, we focus on connecting Makers like Marv Beloff with bow tie enthusiasts and helping bring dreams of custom wood tables to life. Editor's note: Our guest blogger today is Cristiano Barbieri, CIO of SulAmérica Seguros. Founded in 1895, SulAmérica is the largest independent insurance company in Brazil with more than 5,000 employees and over 30,000 brokers throughout the country. See what other organizations that have gone Google have to say. We've been in the insurance industry for more than 100 years and have continued to grow because we value high quality customer service, creating opportunities for our employees and preserving our company traditions. In today's fast-paced world, we realize that in order to continue to focus on our mission, and better serve our 6.7 million customers across Brazil, agility and innovation are key. With that in mind, we have decided to implement three of the solutions that Google Enterprise provides. 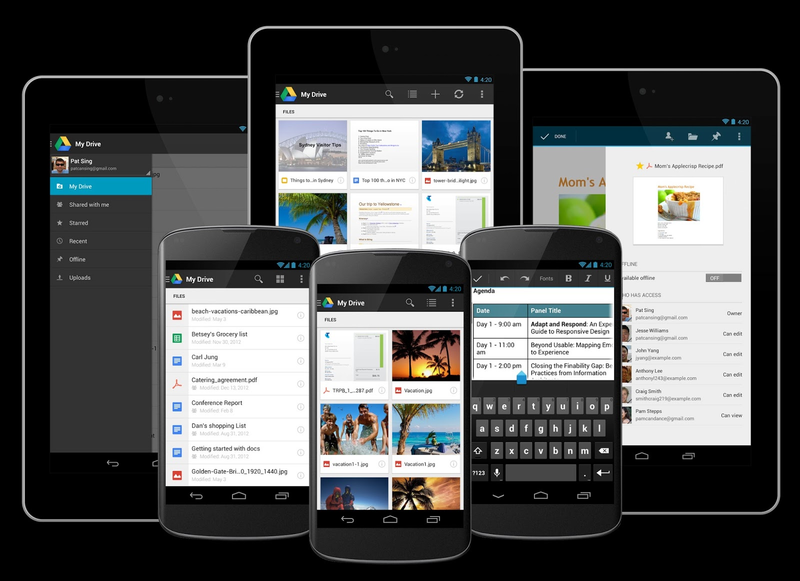 Google Apps for Business was one of our biggest steps towards technology innovation. Before, I had three people dedicated solely to managing our email on LotusNotes, which required constant maintenance because of limited capacity. Google Apps offers over 100x more storage capacity, 3x better service level availability, and is the only solution in the market that is entirely cloud-based. Since adopting Google Apps with the help of Google Apps reseller IpNet, we smoothly moved 7,000 accounts in less than 6 months and reduced our infrastructure by over 60 percent. Our goal? To have no hardware, saving more than $3 million in technical and operating costs. The most noticeable shift that I encounter every day is how Google Apps makes collaboration easy company-wide. For example, we use Google Sites to manage mergers and acquisitions to ensure there is a historical record of the project, all of the documents are in one place, and the different teams that need help with the project (finance, legal, marketing, etc.) can all be on the same page. The end goal: no matter the division, team or location, our employees can access and edit the records in real-time. Communication has also improved tenfold because of universal access to features like a more collaborative inbox on Gmail, Google Talk and Google+ Hangouts. Specifically, we expanded our face-to-face communication while saving money and travel time. We used to only have access to video-conference equipment in 10 conference rooms, but now our employees can chat at all times of the day with Hangouts. They can work together from anywhere: from their phones, tablets and laptops, at their desks or on the go. Mobility is key and also allows our employees to have direct contact with customers without traveling thousands of miles. Watching the successful rollout and adoption of Google Apps motivated us to use more of Google's Enterprise products. Within a few months, we also adopted Google App Engine and integrated Google Maps. Using these tools, we built a medical reference network that uses the power of Google search so our customers can look for a doctor, hospital or laboratory. The result provides a list with names, specialities and addresses, and the accompanying map provides geolocalized results. 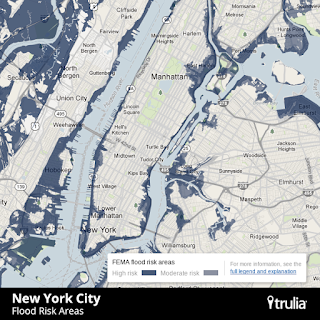 We couldn’t do this before because it was slow, complicated and costly. With Google App Engine we were able to build this directory on the web just as easily as we did for mobile, so our customers can access the network anytime, anywhere through an intuitive, familiar interface. Now, we receive more than 500,000 searches per month, which is direct contact with our customers that we didn’t have before. 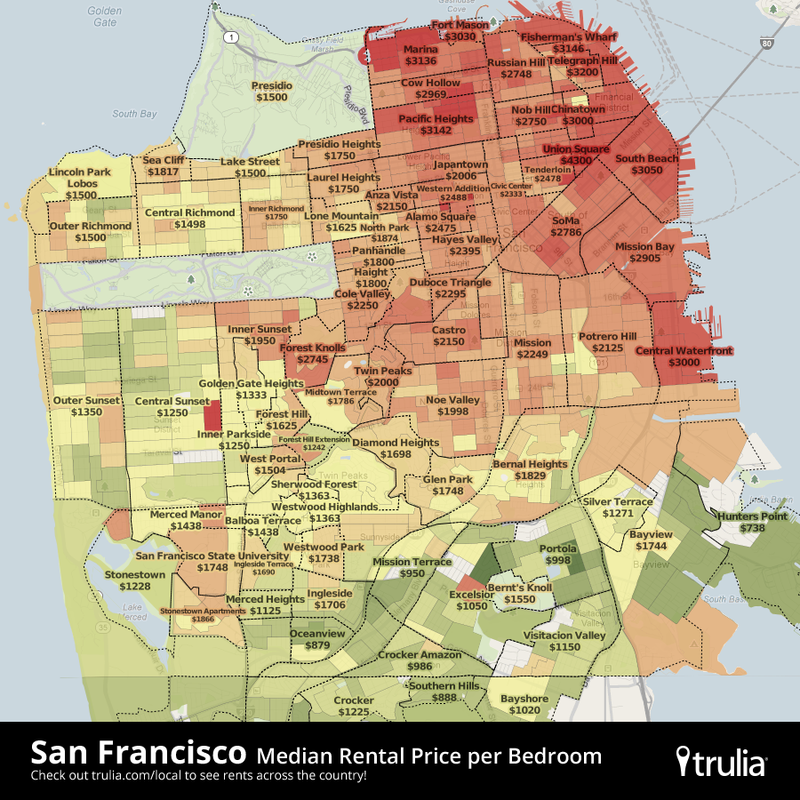 We're impressed by the momentum and scalability. By implementing Google Enterprise solutions that save time, money and are extremely scalable, we can offer easy-to-use, innovative solutions to improve our core business. Our employees work better together and we provide new avenues for contact directly with our customers. At SulAmérica, we aren’t focused solely on selling insurance. We believe that by going Google we are able to focus on what's most important: making our customers' and employees’ lives easier and safer. Yesterday, we kicked off the 6th annual Google I/O developer conference, with over 6,000 people attending live in San Francisco and millions more around the world tuning in to the livestream. The conference this year focused on a growing trend that affects our lives at home, at work and at school: the move towards a multi-screen world. In this world, tablets and mobile phones are quickly becoming as commonplace—and as useful—as desktop and laptop computers. As you shift between devices, your experience should be seamless. And the same tools you use in your personal life should be available in the workplace, so you can work the way you live. To that end, here are some highlights from this week that are particularly relevant to our business, government and education customers—including tools for developers, features to simplify your life, and new ways to connect and collaborate with others. Google Cloud Platform: We announced that Google Compute Engine—which provides a fast, consistently high-performance environment for running virtual machines—is now available to anyone by visiting cloud.google.com. 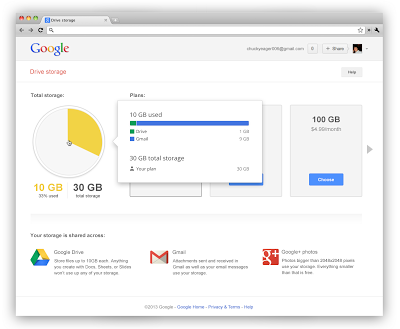 We also introduced Google Cloud Datastore, added the PHP runtime to Google App Engine, and added sub-hour billing charges so you don’t pay for compute minutes that you don’t use. Admin SDK: The new Admin SDK lets developers build customized administrative tools for organizations that use Google Apps. The SDK consolidates many of the existing domain APIs into a new uniform structure and introduces new functionality with the Directory API and Reports API. Google+ API for businesses: The new Google+ API for businesses is now available as a pilot for developers who want to build apps that handle tasks like auto-provisioning Circles and reading or writing posts. Gmail: New quick action buttons in Gmail are designed to help you get things done faster and take action on an email without ever having to open it -- like opening a Google document that’s been shared with you or responding to a calendar invitation. And we’re beginning to roll out a new integration between Google Wallet and Gmail, so you can quickly and securely send money to friends and colleagues directly within Gmail—even if they don’t have a Gmail address. 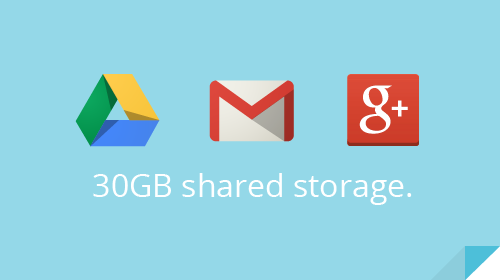 Unified storage: Google Apps customers will now have 30 GB of unified storage to use between Drive, Gmail, and Google+ photos. Just as before, files created in Docs, Sheets and Slides don't count against your storage quota. As a result of this change, Gmail inboxes for Google Apps customers are no longer limited to 25 GB -- any additional storage you purchase can be shared and used by Gmail. Nexus tablets and Google Play for Education: There are now 25 million students, faculty and staff around the world using Google Apps for Education. Later this year, Google will expand its education offering beyond Chromebooks and Apps to include Nexus tablets and Google Play for Education. Schools will be able to efficiently manage tablets and discover, purchase and distribute content and applications with ease. Schools who want to receive information about the program when it launches later this year should complete the interest form available at google.com/edu/android. Google+: The new look and feel for Google+ brings a modern design to the stream and makes it easier than ever for you to connect with colleagues and quickly learn more about topics or posts that interest you. The new Google+ also looks and feels the same across all your devices. Hangouts: Apps customers now have the option to replace chat in Gmail and Talk on Android with a new version of Hangouts that combines text, photos and live video calls across desktops, laptops, as well as Android and iOS phones and tablets. 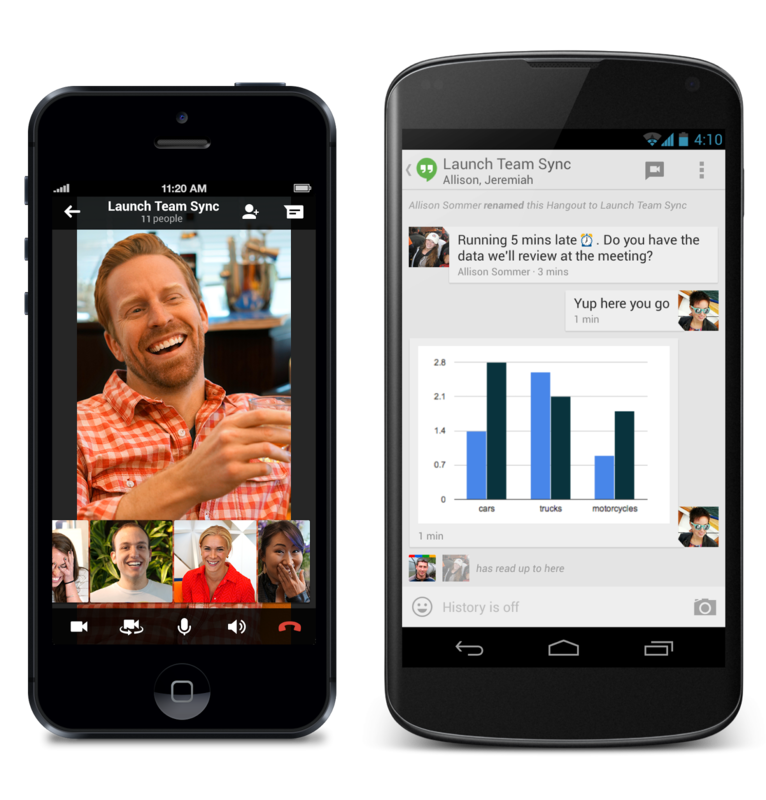 The new Hangouts is designed to help bring all of your real-life conversations online, across any device or platform. Just as before, Apps customers can invite up to 15 colleagues to a video call. Work doesn’t always need to feel like work. Technology should make your life easier, so you can get work done more efficiently and focus on what really matters: building your business, teaching your students, or serving your constituents. Google I/O continues through the end of tomorrow. Tune in to live sessions at google.com/io. Editor's note: Today’s guest blogger is Dean Peck, Senior Business Solutions Analyst and Project Manager, for Allianz Global Assistance in Australia and New Zealand. See what other organizations that have gone Google have to say. At Allianz Global Assistance, we have a simple and often rewarding task: we’re here to help people, anytime, anywhere. With over one million members in Australia and New Zealand, every year we help roughly 120,000 people stranded during car breakdowns and connect those in need with a complex network of service providers — from locksmiths to emergency medical personnel. To make this happen, we rely on minute-to-minute mapping data to pinpoint our customers’ location and then find, dispatch and track service providers. We have thousands of service providers, and we store the information about them in our incident call centre system called ‘MIDAS’. Until recently, our mapping software was also embedded within MIDAS but it lacked some vital functionality. 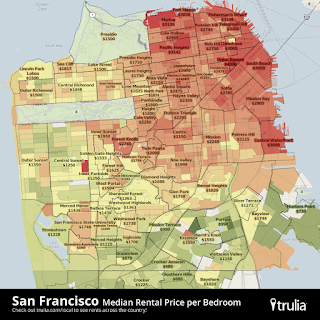 We set out to look for a contemporary, cost-effective alternative that would integrate with MIDAS. After considering a range of options, we chose the Google Maps API because of its familiarity, reliability, accuracy, ongoing innovation and relationships with other data providers. We use the Google Maps API to pinpoint the whereabouts of customer and service provider vehicles when they share their location with us. The Google Maps API is also used to overlay the incident address from MIDAS. Using different layer shadings, service assistants can quickly see which providers offer the needed services within the right coverage area. 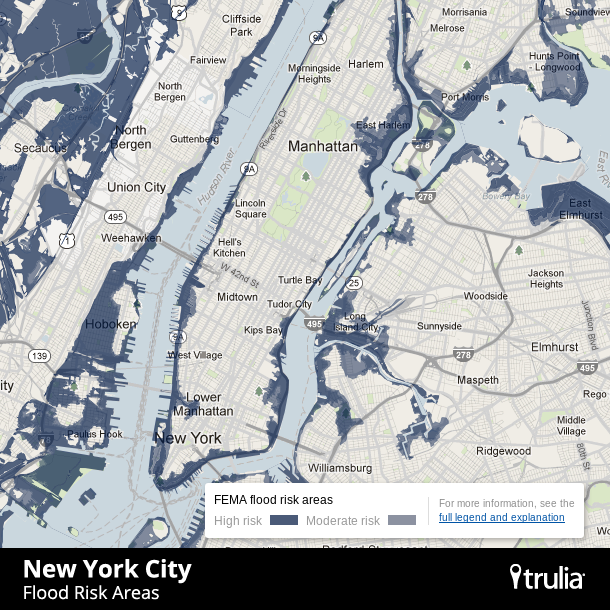 They can accurately calculate travel time and distance to the incident and overlay traffic information to warn service providers en route if they are about to encounter a slowdown. The integration of Street View with Google Maps helps us deliver better customer service too. When our assistants are on the phone with stranded customers, they’re able to see exactly where the client is located and provide them with reassuring feedback. Google Maps API is making a positive difference to agents, the business overall, and most importantly to customer satisfaction. The fluid, simple functionality, familiarity, visual nature, easy pan and zoom, and accuracy of Google Maps allows our agents to serve customers better. And these improvements have made us all realise that we can genuinely make a difference in our customers lives. Editor's note: Our guest blogger this week is Jean-Martin Thibault, Senior Enterprise Architect at the Canadian Broadcasting Corporation, Canada’s oldest broadcasting network and national broadcaster, known commonly as CBC and officially as CBC/Radio-Canada. See what other organizations that have gone Google have to say. Deeply rooted in the regions, CBC/Radio-Canada is the only domestic broadcaster to offer diverse regional and cultural perspectives in English, French and eight Aboriginal languages. As Canada’s national broadcaster, we bring Canadians programming when, where and how they want it ― through a comprehensive range of radio, television, Internet, satellite-based services and mobile devices. Our team is stationed all over the world, which means real-time communication is key for up-to-date, consistent reporting. Achieving this at such a large scale isn't always easy. For more than 10 years, we had been using an on-premise, corporate-wide system for email/calendar. We also had a separate system for collaboration, but neither solution was integrated and drove true inter-office collaboration. With a company-wide goal to reduce infrastructure and a need for better messaging and collaboration, we decided to look at public cloud solutions, especially Google Apps. It was clear that Google Apps was the right solution for us based on cost, proven service level and availability guarantee and the breadth of tools the platform offered for collaboration. We also had great support from the media groups in our company (about 70% of our employees), as many of them had been using personal Google accounts to communicate already with external users. Once we decided to “go Google” we were able to complete a smooth 90-day deployment with the help of Google Apps reseller, Onix, by March 1, 2013. Since we went live, adoption of the whole platform has well exceeded our expectations of email and calendaring. 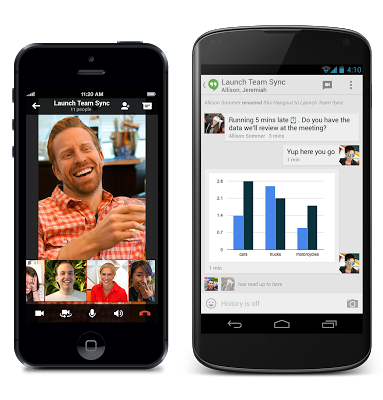 Google+ Hangouts has revolutionized the way that our employees interact with each other. Long conference calls are now becoming a thing of the past. We can now jump on a Hangout and have a face-to-face meeting with colleagues across the country via our smartphones, from home or the office, without getting on a plane. It’s cost-effective and more efficient without compromising our core business. Additionally, Google Docs are helping our reporters become better and more efficient storytellers. For example, before, our writers and reporters in our newsroom brainstormed and drafted copy in separate Word documents, which inevitably led to version confusion and unnecessary time spent merging documents. Now, they use a single, shared Google Doc for all their stories, so the entire team can collaborate together, in real time, regardless of where they’re working. Our freelancers use Docs to make quick edits and communicate on the fly since it's simpler for them to share content and edit in real-time. We are proud to bring the best tools to our company and see the cultural shift that is happening amongst our employees. We are moving away from managing IT and into improving our core business of content creation. We’re excited about what this means for the quality of our reporting and the happiness of our employees. Update [May 15]: A slight edit was made to this post. Last month, the National Archives and Record Administration (NARA) successfully completed the migration of all 4,500 Archives employees to Google Apps for Government. The National Archives is the country’s record keeper, preserving and providing public access to hundreds of years of historical documents and terabytes of modern media. Last year, NARA decided to move to cloud-based email and put out an open RFP asking for the best solutions to update its email and collaboration tools. The agency received many bids proposing a range of different solutions and late last year announced its selection of Google Apps with Unisys, a Google Apps Authorized Reseller, as the implementation partner. The Archives chose an aggressive timeline, getting the new collaboration tools to its employees in just a few short months, one of the fastest transitions that we’ve seen. In keeping with best practices, the migration proceeded in three phases: an IT pilot, the early adopters, and the global go live. By replacing an aging, on-site email system with Google’s modern tools, NARA employees are already discovering the benefits of Google Apps. 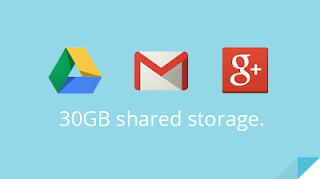 For an agency that understands the importance of storing documents, the addition of approximately 22 terabytes of Google Drive storage allows employees to access and share their documents with ease. I’ve spent more than a dozen years helping government adopt new technology, and never have I seen an entire agency migrate to a new tool so quickly and with such enthusiasm. We’re proud to bring Archives employees more modern, reliable tools to help them do their important work of preserving our nation’s history. Editor's note: In honor of Mother’s Day, our guest blogger is Susan King Glosby, VP of Operations at FIT4MOM, a company that offers fitness programs for moms at any stage of motherhood. See what other organizations that have gone Google have to say. Being a mom to three boys is my favorite job, but helping moms is a close runner-up. That’s what I get to do as VP of Operations at FIT4MOM, a franchise that offers fitness classes to help mothers stay healthy and in shape. We’re not your typical gym session; we run pre-natal classes for pregnant women, stroller classes for new moms with their little ones in tow and workouts for mothers of all stages to get their pre-baby bodies back. 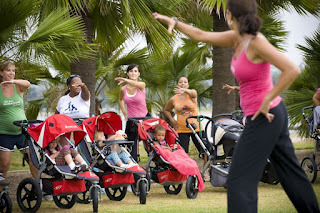 Since launching in San Diego in 2001, we’ve grown to 275 franchises and 1,300 locations nationwide, helping moms from California to Cleveland stay in shape, meet other mothers and have fun with their kids. We’re a mobile company. Our franchise owners are busy moms who don’t have time to sit in an office and answer emails. They’re teaching classes in the local park, picking up their kids from daycare and taking care of their families. Unfortunately, when we looked at our technology, we realized our email and collaboration system wasn’t doing our on-the-go business owners any favors. After looking at some underwhelming solutions tailored for franchise operations, we discovered Google Apps and knew we’d found the platform we needed to help us get our work done whenever and wherever we had the time. Our only remaining concern was whether moving from our old system to Google Apps would be difficult without a dedicated in-house IT lead. Our worries disappeared as soon as we spoke with Lark IT, our Google Apps Reseller. Lark walked us through the process step-by-step, from the moment we decided to switch to Apps to the moment we successfully migrated all 300 of our business owners and corporate team members. Apps has been a game changer for our 11-person corporate team. We store all our essential documents in a single shared folder on Drive, so everyone on the team has on-demand access to HR-related forms, time-off requests and contact information for our franchisees and partners. We also have a shared Google Calendar that’s always up-to-date with training sessions for new franchise owners and opening dates for new FIT4MOM locations. That way, we know all our moms are always in the loop. Google+ Hangouts have become increasingly ingrained in our daily routine, both for recurring events, like our corporate staff meetings, and impromptu one-on-one check-ins with franchise owners. Our franchise owners are also over the moon about Apps because they finally have the tools to let them work efficiently and on their own schedules. With Gmail and Calendar on their phones, they have constant access to class schedules and can communicate easily with their instructors and the moms in their groups. No more time is wasted running home to check their laptops. FIT4MOM isn’t just about fitness - it’s about bringing together active moms who want to be both healthy and part of a like-minded community. Between our Fit4Baby, Stroller Strides and Body Back classes, our employees and customers are getting fit and creating long-lasting friendships. And while we’re having fun on the playground, we know Google Apps is keeping the company running smoothly in the background. Editor's note: Our guest blogger is Yoshihisa Matsuoka, Executive General Manager of Marketing at Clarion, a global producer of in-car audio-visual and navigation systems used by car manufacturers around the world. See what other organizations that have gone Google have to say. As makers of in-car navigation and infotainment systems, we work to give our customers access to the most accurate and up-to-date information when they’re behind the wheel. Whether they’re exploring places in a new city, or discovering local gems in their hometown, we believe they should be able to find what they’re looking for quickly, easily and safely. To give drivers access to even more information where and when they need it, we’ll soon be integrating Google Places, Send-To-Car and Voice Search into our new Smart Access cloud based infotainment system. The Google Places API will provide drivers with access to a rich and constantly refreshed database of over over 80 million restaurants, stores and other points of interest to explore. Send-to-Car will allow drivers to send a Google Maps destination like a restaurant, store or park, directly to their car’s Smart Access system. And with Google Voice Search, drivers will be able to safely discover destinations by speaking their queries instead of having to type them. Smart Access is designed to give drivers the most secure and comfortable in-car experience, and Google’s APIs are just some of the features that we’ll be integrating into this innovative system. We look forward to being able to offer drivers around the world access to this connected driving experience when we launch Smart Access this fall. Editor's note: Today’s guest blogger is Joshua Lowcock, Head of Commercial Platforms and Products for News Limited, an Australian media company. See what other organizations that have gone Google have to say. News Limited is one of Australia’s largest media companies, spanning newspapers, magazines, online, and subscription TV. We publish over 140 online and printed newspapers in major Australian cities including Sydney, Melbourne, Brisbane, Adelaide, and Perth, as well as in suburban areas. Classified advertising is a key revenue stream across all our markets, but traditionally booking and billing classifieds had been a manual and time-consuming process. We wanted to implement a solution that would allow customers to serve themselves by placing ads online. Google App Engine has enabled customers to do just that. We chose Google App Engine as the application because it is easy to build, easy to maintain and simple to scale as the user base and data storage grows. Functionalities within the Google App Engine environment, such as Google BigQuery, have also been useful. We can do an in-depth analysis of our ads and item pricing, as well as provide an internal reporting tool, all using BigQuery. The end result is a self-service, production booking and billing system - www.traderoo.com.au - which we have developed on Google App Engine. It’s proving to be a real winner for both our business and our customers. It’s fundamentally changed the way customers engage with our company, creating a more usable experience and superb responsiveness. It’s easy to use, and gives more control over ad content, as well as the ability to publish ads online immediately. Online ads are free, while print ads are optional and require a small fee, but complement online ads by extending the advertiser’s reach. When customers book ads using the Traderoo website, they get automatic email notification from the platform that tells them how their advertisement is performing. Traderoo is optimised for PC, laptop, smartphone and tablet, so the browser and ad placement remain consistent, no matter what device our customers are using. The real advantage for us is that our classified business has achieved faster time to market, lower costs and less overheads in the form of call centre time and manual data entry. The site has been a huge success, and we look forward to continuing to use Google App Engine as we develop Traderoo further. 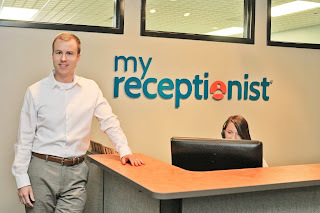 Editor's note: In honor of National Receptionist's Day, our guest blogger is Jeffrey Noe, CEO at My Receptionist, which provides virtual receptionists and front office support services for small businesses. See what other organizations that have gone Google have to say. 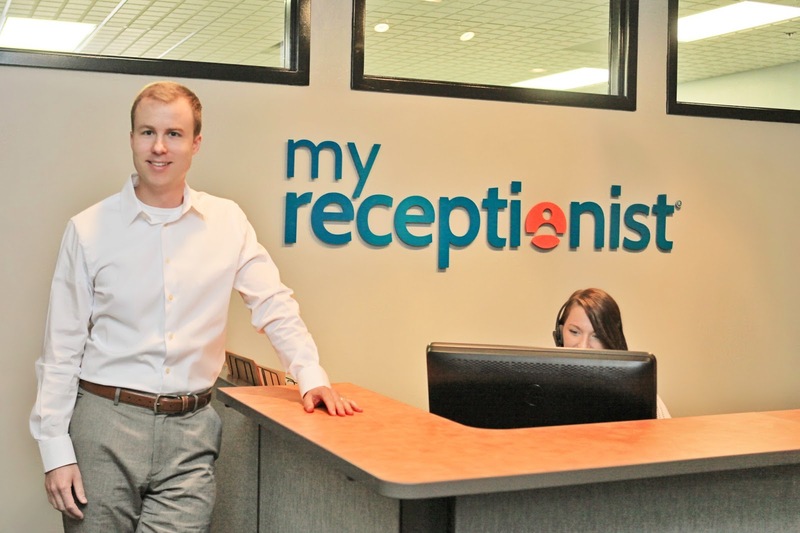 Receptionists aren’t just the welcome committee for your doctor’s office - they’re the directors of first impressions for companies everywhere, from one-person e-commerce start-ups to global manufacturing corporations. My Receptionist provides virtual receptionists for small businesses who realize the importance of having someone on the front line but don’t have the resources to hire someone full-time. Our 65 employees across two offices provide phone answering services and front office support for our customers, so they can focus on what they do best: growing their business. In our line of work, a technology hangup is on par with a dropped call, and in 2011, we realized it was time for an upgrade. We had a jumble of Microsoft products that didn’t work well together and made our day-to-day operations difficult. We needed a new platform that required fewer IT resources and helped our employees and clients communicate, collaborate and schedule better together. We experimented with Microsoft Office 365, but the pricing felt unnecessarily complicated and it relied too heavily on additional software to be the fully baked cloud solution we wanted. When we tried Google Apps, we immediately knew it was the right fit: not only was it cost-effective and easy to understand, but we could tell that Google had a more developed product and vision. While the ease and popularity of Gmail was a key driver in our switch to Google Apps, Google Docs and Drive have completely changed the way we collaborate internally and with our clients. Before, we put our training material in plastic binders, which would then be sent out to 70 people, including clients. Every time we needed to make a change - even to one page - we would need to reprint 70 copies of each page and send new binders out. You couldn't help but sigh heavily when you had to update a piece of information or update a process, because it meant another trip to the printer. 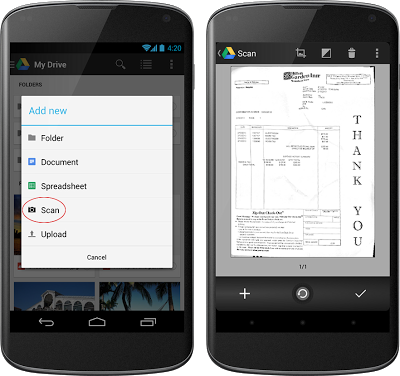 Now, with Google Docs, the process, printing and need for mailing disappeared entirely. We just go online, make the change in our doc, and rest assured that everyone has the same up-to-date training manual for immediate access. Google+ Hangouts have also become a mainstay of our day. Every morning our executive team, which is split between our two offices, huddles on a Hangout. If someone is travelling, they’re patched in and don’t miss a thing. Hangouts are also tightly integrated with Google Calendar, so our meetings are just one click away. Our virtual receptionists are the first line of contact between a lot of small businesses and their customers, so it’s essential that we give our employees the resources to stay up to date and be knowledgeable about our clients. Our receptionists may not give out candy or cold water to the folks they interact with, but with the help of Google Apps, they have the tools to make our clients - and their customers - happy. Accomplish tasks faster: Navigating to the right setting should be fast, and with new logical groupings admins can find settings like delegated administration right under the Admin Roles control. Customize the Admin console: Drag and drop the controls you need into the place that makes sense -- and remove the ones you don't need. Get to the Admin console more easily: There is no need to remember a long URL like google.com/a/domain.com or search for the “manage domain” link in Gmail. Just type the new URL (admin.google.com) and log in directly to the Admin console. These changes to the Admin console will be rolling out to existing customers over the next few weeks. To learn more about the new Admin console, visit the what's new site or contact our support team that is available by phone or email 24/7. Editor's note: Today’s guest blogger is Olivier Lacoste, Head of IT at Pierre Hermé Paris, a French pastry company. See what other organizations that have gone Google have to say. Being a French pastry chef is a little like being a Kenyan long-distance runner or Brazilian soccer player – you follow a long line of those before you who have been the very best at their respective trades. Pierre Hermé became a celebrity by being the youngest person to be named France's Pastry Chef of the Year. Mostly, though, people really love his macarons. Today, Pierre Hermé Paris® has boutiques in France, United Kingdom, Japan, United Arab Emirates and soon in China with our 450 employees making and selling French pastries, macarons, ice cream, candy, coffee, tea, jam and more. We’re growing rapidly as consumers around the world try and appreciate our products. As the head of IT, it’s my job to make sure we have a technology solution to facilitate that growth. We chose Google Apps because it gave us the most up-to-date technology to work with and was scalable for our internationally expanding workforce. We found that some of our employees were using Google tools on the side, so we decided to roll it out to the entire company with the help of Google Apps Reseller Cirruseo. We were up and running in less time than it takes to make one of our signature chocolate macaroons. We’ve been happy with the way Google Apps lets us do things that weren't possible before. For example, Pierre Hermé will record a video of himself baking a difficult pastry and store it on Google Drive so our bakers around the world can learn from him while at work or on their mobile devices. As any pastry chef will tell you, collaboration is key. Pierre Hermé Paris employees need a technology solution that lets them share ideas and recipes easily from anywhere on the globe. Working together on documents may be less sweet, but it’s no less important to our business than working together to produce one of our signature macarons. This new feature is rolling out over the next week to Rapid Release domains with the English (US) language. We'll be adding other languages soon, so stay tuned.